A few weeks ago I wrote about the Church Chicks. As we’ve gotten older, we’ve gotten busier. Four of us are married with little roosters, I mean, sons to chase after. Others have demanding jobs and engrossing hobbies. One of us is far away in Michigan (and greatly missed). But when one of us endures a loss, we can count on each other to drop whatever we’re doing to provide support and plenty of Kleenex. 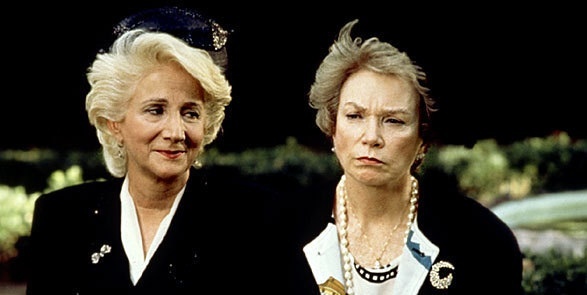 While none of us are a beautician or a grumpy old bat, we do resemble the gals in Steel Magnolias at times. We’ve shared so much over the years, good and bad, that it’s only natural that we stick together when someone we love dies. The Steel Magnolias have nothing on us. I am pleased to say we have yet to resort to slapping each other after a funeral. Out of our group, I was the first to experience the death of a parent. Like so many people, I couldn’t imagine my life without my father in it. He had endured Parkinson’s disease, mini strokes and eventually dementia. So I knew his death would be sooner rather than later. I was just hoping it would be much later than it was. 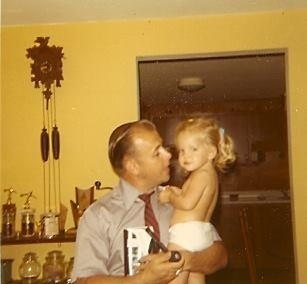 One of my favorite pictures of me and my Dad. At the time Dad died, I was living in Nashville, Tenn., a newlywed of only four months. Fortunately, we were able to be with Dad when he passed. I moved in something of a fog in those days just after he died. By the time the funeral came, however, it was beginning to hit me. 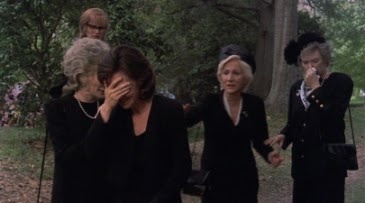 I knew some of the Chicks would be at the funeral. Because I had decided to deliver one of Dad’s eulogies, I was too wrapped up in getting through the service to notice which ones were there. But when I walked down the church steps toward the limo after the service, I saw every single one of the Chicks standing beside it, waiting to give me an enormous group hug. You cannot know how that warmed my heart, that they had come to support me that day. I will never forget it. As a humorous side note, Sarah says Dad’s funeral reminded her never to forget to put her phone on silent at such events. Apparently her cell phone went off in the middle of the service but I honestly don’t remember. That still cracks me up. Beverly was the second one to lose a parent, her father having battled cancer. At the time, I was very pregnant and living in Atlanta again. The night I found out, I drove a good distance to get to her mother’s house. I knew one of us needed to be there. A few days later, most of us were at the funeral (one of us had since moved to Louisiana) and I know she appreciated our presence, even if we didn’t have much time to talk. I’m not sure who would play whom but I think I have some of Shirley McLaine’s eccentric Weezer in me. But hopefully not in that “I’m a grumpy witch” kind of way. Sarah had it the worst. She lost her father only four years after her mother died. Because both funerals were held in Oklahoma, the Chicks could not physically be there. But you can be assured we surrounded her in spirit. But when Lisa’s father suddenly died recently, it took all of us by surprise. With the other deaths, each of us had at least gotten an indication that the end was coming. Lisa did not have that luxury, if you can call it that. Within the span of a day or so, as we swapped e-mails, it was clear the Chicks intended on going to the memorial service. It was a good hour and a half away but that wasn’t going to stop us. Even the newest Chick mom, with a new baby rooster to care for, was coming. We knew there would be little opportunity to actually talk to Lisa, but that wasn’t really the point. As they had for me, the Chicks wanted to be a physical presence of support that Lisa could see and take comfort from. Because you don’t always need words to know someone cares about you. As four of us walked up to the church in Helen, Ga. on that Sunday, I could see the look of relief on her face when she saw us. The church was already packed with people but magically, a row that had been reserved for family was opened up to us. Later, we commented that God must have known that we ARE like family. The fifth chick arrived soon after. Later, as we stood outside fussing over the newest rooster, Lisa came out and we were able to talk with her for a little while. It was clear she needed some “Chick Chat”. It’s hard losing your Dad. But when you have friends who have already been there and done that, there is great comfort in being surrounded by them. The Chicks with, Jake, the newest baby rooster of our group. Postscript: Sadly, Megan’s father passed away last week after strugling with Chronic Obstructive Pulmonary Disease (COPD). As was the case with Lisa’s father, his death was sudden. Having made plans long ago, he chose to be cremated and have no funeral (although there will be two different celebrations of his life in the weeks to come). The Chicks will gather privately this Sunday, however, for some “Chick Therapy” as we like to call it and let her know we share her grief. Because that’s what you do when there’s a death in the family. Love your story, God sends us some very special friends in our life to help in our times of sorrow. Bless them!! 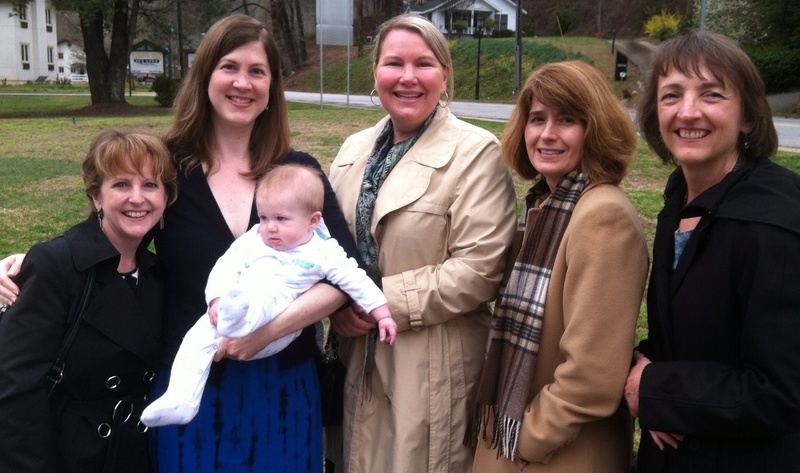 What a sweet story–a tribute to your friendship and what it really means to be a family. Thanks for giving us a little glimpse into your group of “Chicks”! Thanks, Katie! I do feel very blessed to have the Chicks in my life, they are a gift from God I don’t take for granted. I love you chicks so much! Thanks for making a tough time easier to take. I told someone today about our upcoming chick therapy. He referred to it as being our sisters’ keeper. So glad he understood. So glad we are there for each other! Wonderfully expressed, Traci!